The Point Church is all about pointing people to Jesus. 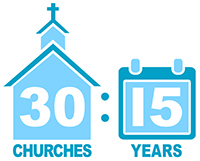 Plant 30 Point Churches by 2025 to point every man, woman, and child in the Triangle to Jesus in our generation! We believe every town, community and urban area across the Triangle would be better off with a thriving Point Church actively pointing people to Jesus. We also believe every person can play a part in turning this God sized vision into a reality. We invite you to partner with God to bless the community He has placed you in and partner with what he’s doing in the next town or community. Consider this your invitation to join with us in pointing every man, woman, and child in the Triangle to Jesus in our generation! God created us to worship and we experience maximum joy when we worship him with all we are. We were created to do life with others, so we are more effective when we follow Jesus together. Jesus gives every Christian spiritual gifts and places us here to help others. We grow spiritually when we are connected with God so we prioritize daily time with Him. We have a mission to point people to Jesus, so we lead others to take their next step with Him.